Toon Goggles Cartoons for Kids for Apple TV by Toon Goggles, Inc. Enjoy 5000+ cartoons and tons of interactive, educational books for FREE anytime and anywhere in the world! 100% Kid-Safe and Parent Friendly. Toon Goggles has cartoons favorites like Om Nom, Badanamu, and Eddie is a Yeti. Feel safe when your child is using Toon Goggles because our service is kidSafe Certified and offers parental controls to monitor your child’s viewing. -Parental control so you can monitor your child's viewing. -Thousands of animated and live-action episodes perfect for kids of any age and updated weekly. 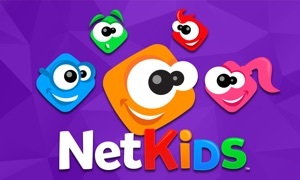 -100% ad-free preschool & educational categories, and parents can choose to upgrade to a premium subscription if they prefer their child not view ads in other categories. 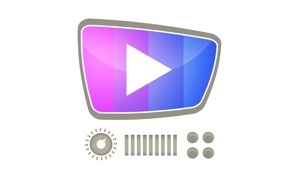 -Create a custom playlist and keep your child busy with auto-play videos of your choice. -Let your child create his or her own Toon Goggles account, avatar, and screen name to ensure complete anonymity while interacting with the app. -Let your child be the star with TG Shortiez, a video recorder with fun filters. -Download episodes for offline, on-the-go viewing via our app’s Toon Box. - Apple Watch support so you can conveniently control your child’s app experience by monitoring what is watched, set parental controls, and control recordings. NOTE: We take your child's privacy very seriously. The first time your child tries to upload a video to TG Shortiez, an email will be sent to you (the parent) for initial approval. Parents must pass our verification and then approve uploads for their child. Each video uploaded will first go to the parent for approval and then to the Toon Goggles content approval team prior to becoming live on the service. This is to ensure a safe environment for your child and the rest of our community. Users of this application can subscribe to optional auto-renewing subscriptions for Toon Goggles Premium and Tune Goggles Radio to obtain access to additional features. Should you choose to subscribe to one of the subscriptions, please be aware that they will automatically renew each month and your credit card will be charged through your iTunes account. Your account will be charged for renewal within 24 hours prior to the end of the current period at the subscription cost agreed upon at the time of the original auto-renewing subscription purchase. You can turn off auto-renew at anytime from your iTunes account settings but it must be turned off at least 24 hours before the end of a current period to avoid being charged for that time period. No cancellation of the current subscription is allowed during an active subscription period. Please go to http://www.toongoggles.com/privacy-policy and http://www.toongoggles.com/terms-use for more information.